Prison break? 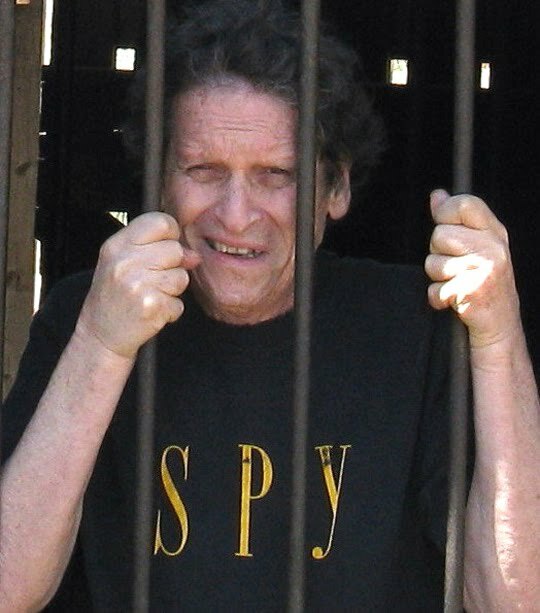 Paul Krassner's Facebook profile pic. I had no friends in high school and college, and now I have 5,000+ Facebook friends. Maybe 25 of them are actual friends, so I assume that the rest of you liked my work. And the irony is that I’m quitting Facebook because it’s become a distraction from my work -- what Ken Kesey would’ve called my “current obsession” -- writing my first novel, about a contemporary Lenny Bruce-type performer. I’ve truly appreciated your feedback, wit, imagination, insight, information, argument, and compassion. Incidentally, my decision was made before my Facebook identity was hacked (through my own clueless moment) and you all were spammed as a result. I apologize for that. Although I’m a professional prankster, this wasn’t my prank, or it would’ve had a purpose beyond electronic vandalism. Recently, when I self-published an expanded edition of my autobiography, which is not available in bookstores, I felt that sharing and spreading an announcement of a link to its existence on my website was simultaneously self-serving and other-serving; ideally, two sides of the same coin. I repeated it at different times of the day for a week because I wanted to reach as many people as possible. Facebook has enabled communication to span the spectrum from the trivial (what someone vomited for breakfast) to the profound (an organizing tool for the revolution in Egypt), and I have conflicting emotions about leaving. I realize that this isn’t exactly like Dave Chappelle leaving behind his successful Chappelle’s Show and a $50-million development deal, but I do hope that you understand my priorities.